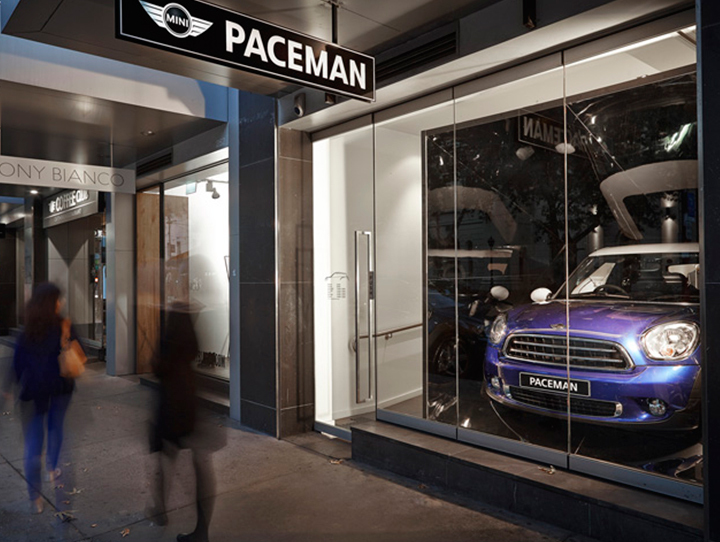 Mini Paceman worked with Ogilvy to create the Mini Paceman Concept Store. 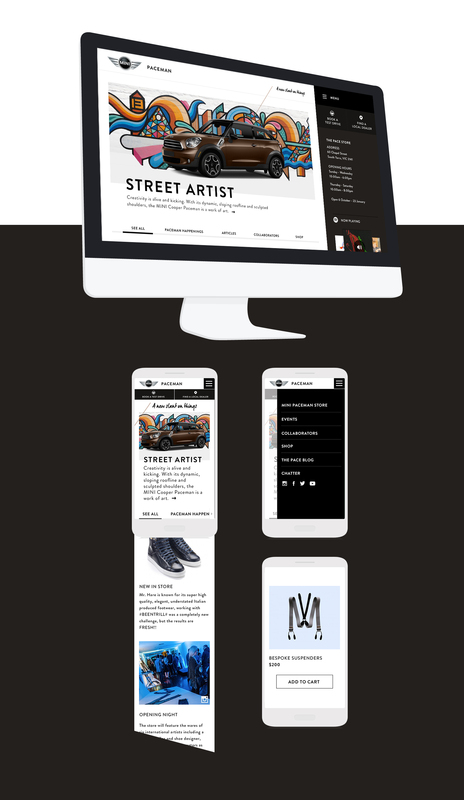 The idea was to form partnerships that compliment desired experiences. 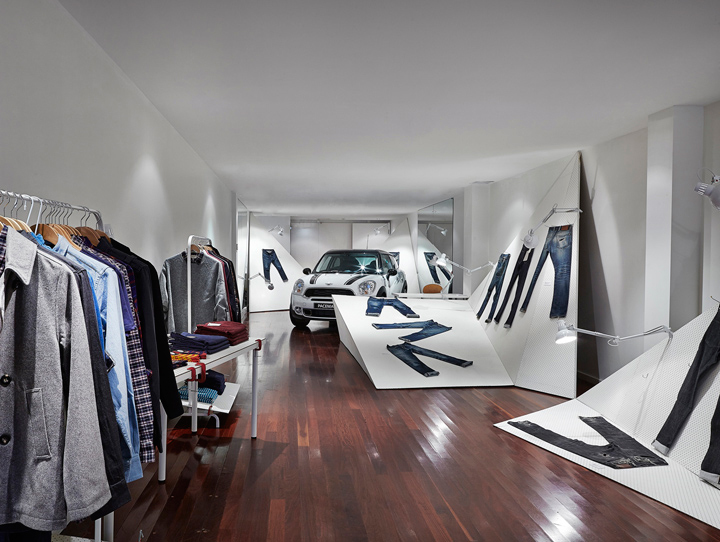 The combined studio and retail space opened on Chapel Street in June 2013. International Collaborators were featured alongside the car itself targeting a group of men known as the new age masculine - opinion shapers that are stylish, ambitious and savvy buyers. 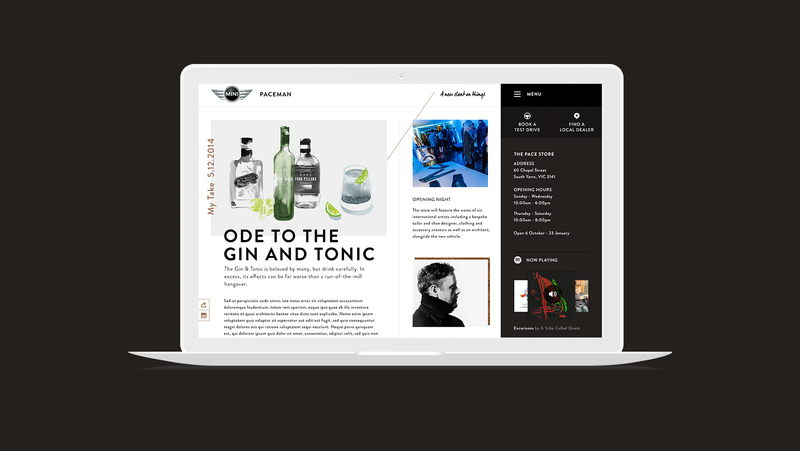 Flint collaborated with Ogilvy to produce the online experience. 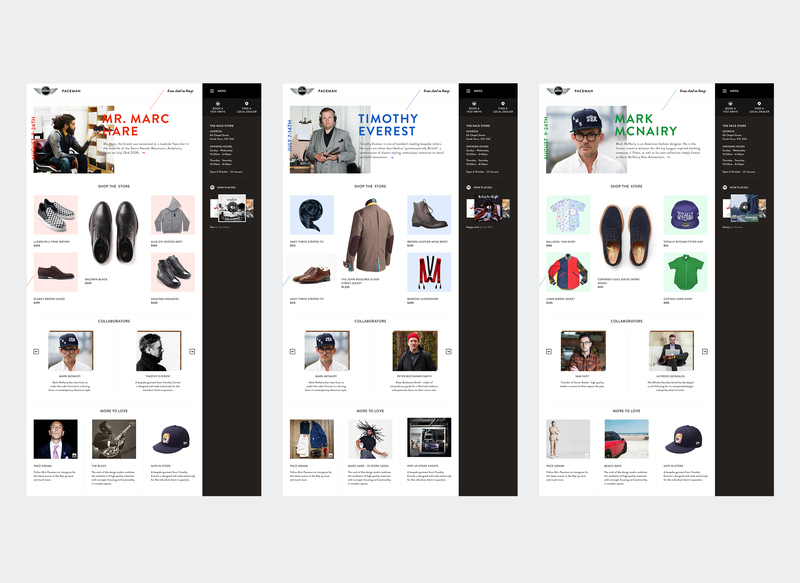 The site needed to convey a crafted, unique men's parlor vibe. 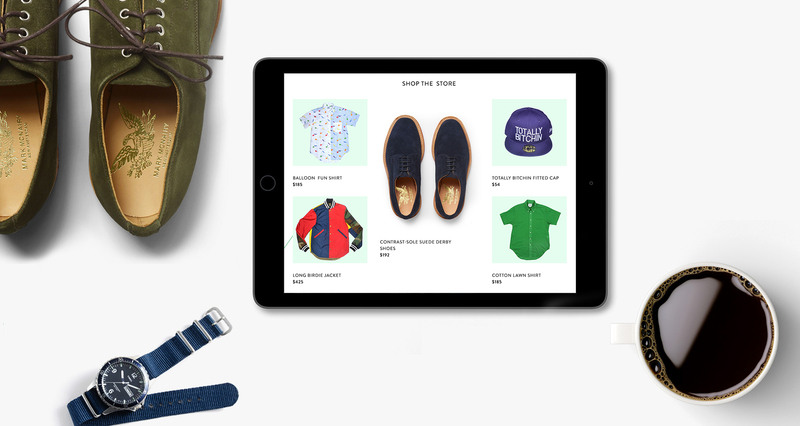 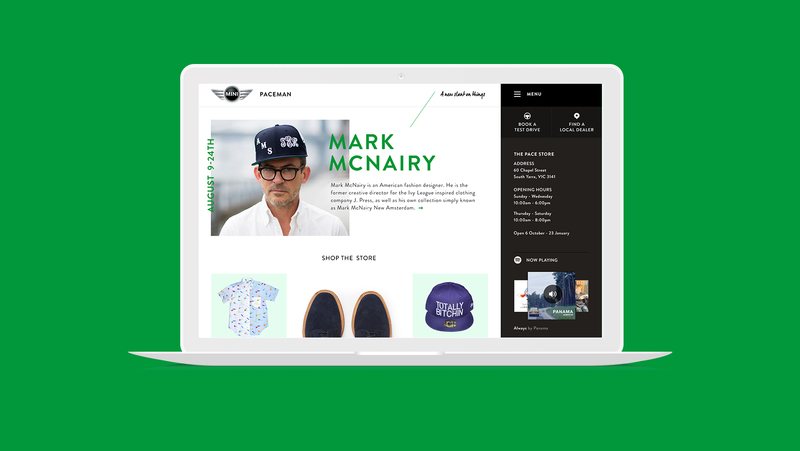 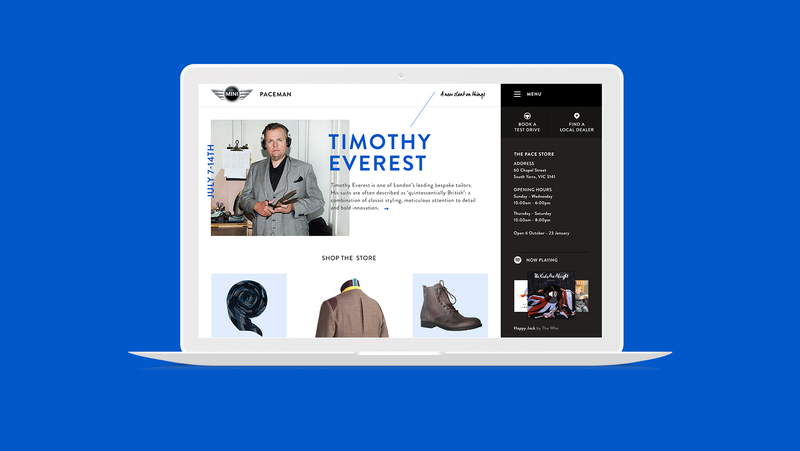 We wanted to create an online experience that feels much like the in-store experience. 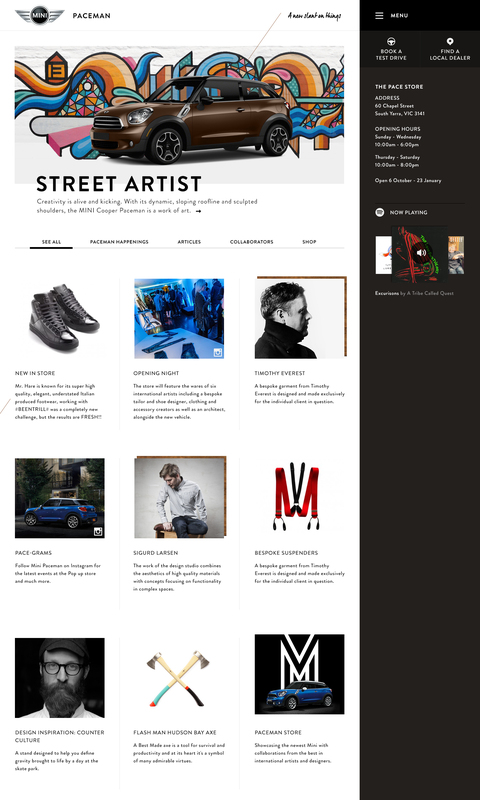 It needed to highlight self-expression and craftsmanship. 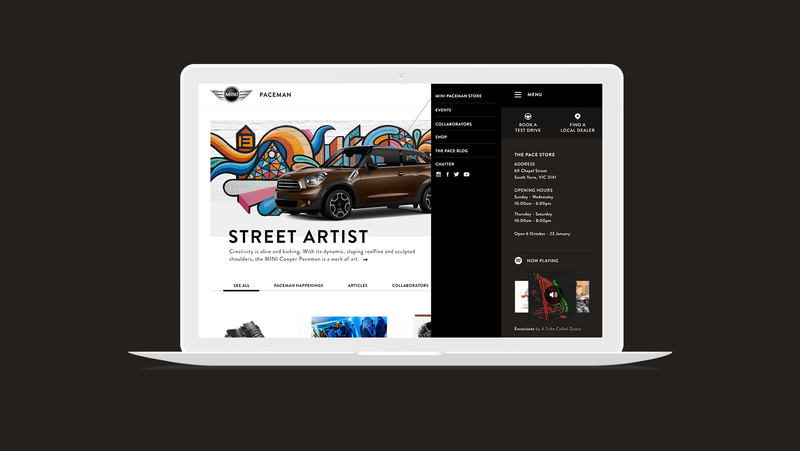 This site was CMS managed by Mini in order to allow new retail and events to be added daily.